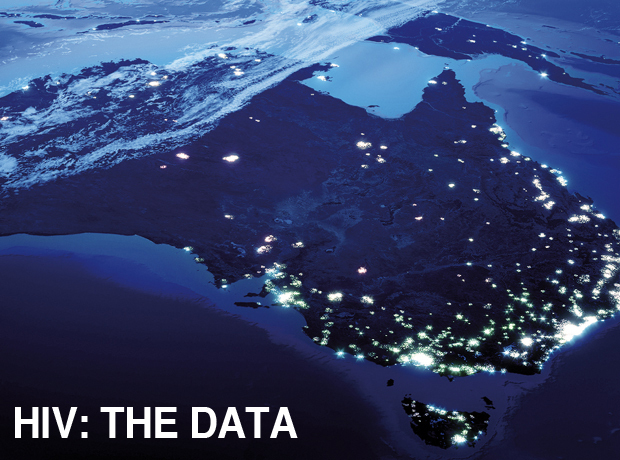 In Australia, state, territory and national HIV data is published annually, via the Annual Surveillance Report (produced by the Kirby Institute), and at jurisdictional level by state and territory health departments. HIV social research centres also regularly release data related to sexual and other behaviour that may put people at risk of acquiring HIV. The release of this data can stimulate media coverage. HIV data is sometimes also included (to provide context) in other HIV-related reporting. Inaccurate reporting of HIV data can contribute to the stigmatisation of affected communities or trigger unwarranted fears about HIV in the broader community. It is important to ensure that HIV data is current, correctly interpreted, and that commonly used terms are made clear in media reporting. Three terms which can be confused are ‘incidence’, ‘prevalence’, and ‘newly diagnosed’. They do not have the same meaning and should not be used interchangeably. Newly diagnosed individuals may have been living with the virus for many years before receiving a positive diagnosis. This Factsheet – published by the US Centers for Disease Control and Prevention (CDC) – is a helpful guide to commonly used terms in HIV surveillance. Globally, HIV data is analysed by the United Nations Program on AIDS (UNAIDS) and released in the form of regular country, regional and global reports. Increased testing rates catch more new HIV infections in NSW This AFAO news item demonstrates that the reasons for rises in HIV diagnoses can be complex.